Are you losing money because your projects constantly run over budget? And do your customers get frustrated because of poor communication, unnecessary glitches, and late delivery on your commitments? And you need to get your margins back! You need all of this, before your reputation starts to crash and burn. Are you losing money and customers? ... and now, every day that passes, you're taking more calls from angry customers. Now's ﻿your﻿ chan﻿c﻿e to get cost effective Project Management training for your whole team. But your team doesn't have all the skills you need them to have. These are the people OnlinePMCourses founder, Dr Mike Clayton, has been training for over 15 years. Will your team members will be able to assimilate it and implement practical tips quickly and easily? Can you find a cost-effective AND time-effective solution? ...It's all here in one package. Thinking that Project Management isn't for your business. You aren't ready, it's too hard, it'll be too breaucratic, or you need a live learning program to get started. Are you starting to use Agile methods - or considering it? Don't worry. We have you covered through our partnership with an expert. 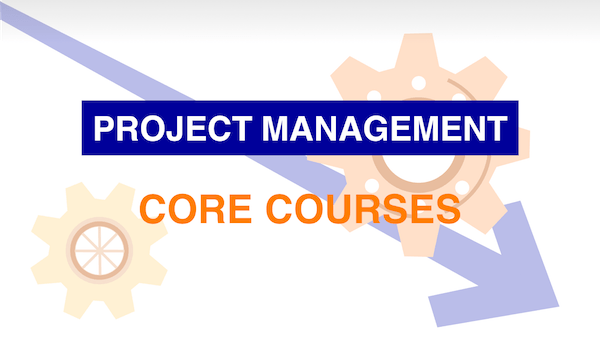 Skills courses take one aspect of Project Management, and examine it in depth. So you can focus on the pinch point in your business. Do you need some of your team to become PMI certified? We are increasing our support for PMI qualifications. We also have loads of free resources, including long, detailed articles, and short, concise video., so you can feed your team with confidence. The best place to start is with a conversation. To discuss your challenges, and the solutions you need, and to find out more about volume licensing of Project Management courses, contact Mike Clayton, using the form. Then, Mike will get in touch to arrange a conversation. Then, we'll organize a demonstration of the products we recommend.